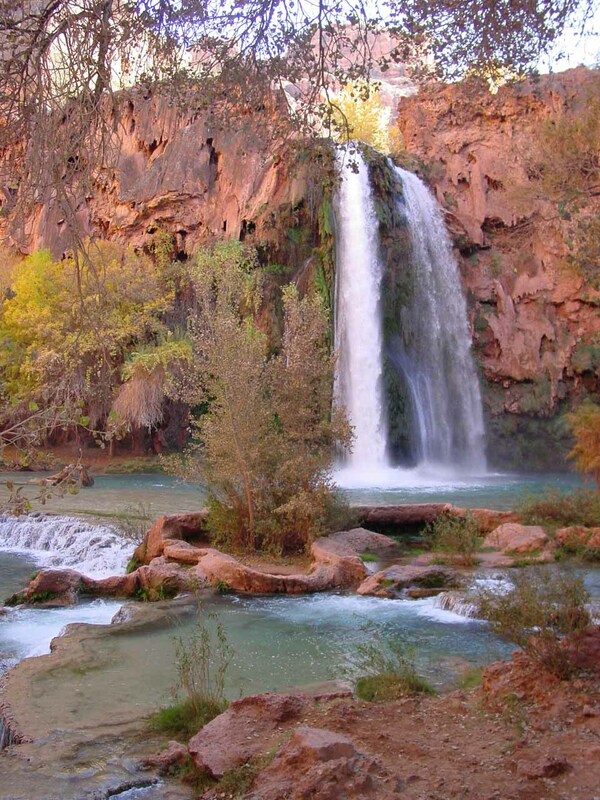 Havasu Falls (sometimes called Havasupai Falls) has to be one of the most beautiful waterfalls I have ever seen. We saw it as a pair of plumes falling side by side as they did a freefall of some 90ft. 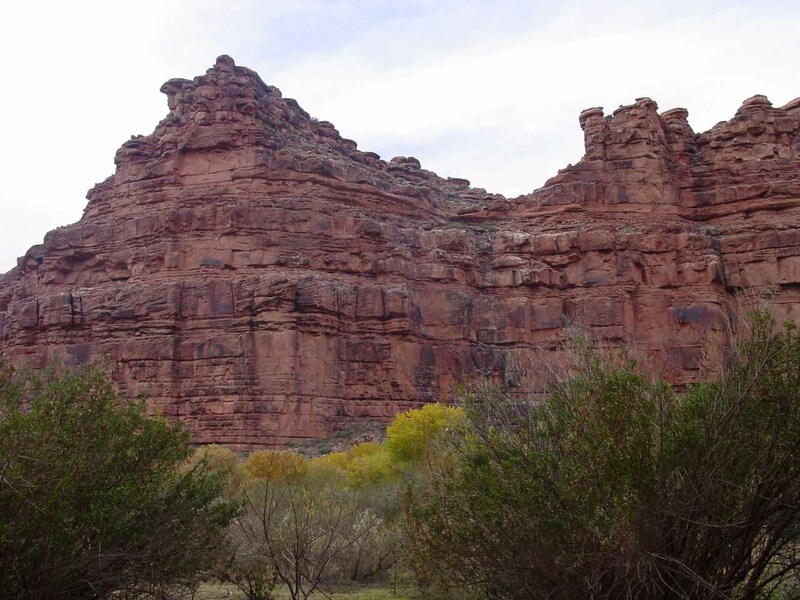 The underlying cliffs featured travertine formations that gave the reddish cliffs an exposed cave-like quality. The calcium carbonate deposits within Havasu Creek (the creek responsible for the waterfalls here) gave the water its turquoise blue color while also forming travertine dams. These dams, in turn, resulted in swimming holes deep enough for cooling off from the desert heat. Indeed, if there was a place that epitomized a desert oasis that we or most likely anyone else would fantasize about, this would probably come the closest to those fantasies. Even with that said, however, change always seems to be the norm for Nature doesn’t stand still despite its timelessness. 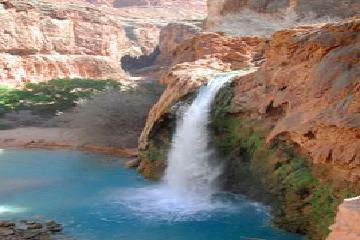 Havasu Canyon has seen major flash floods in the past and will continue to see them in the future. 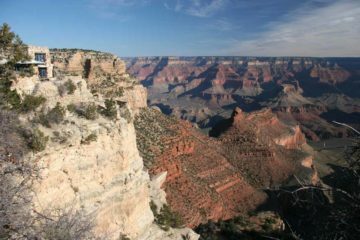 With each major flood event, the canyon changes in seemingly dramatic ways – waterfalls disappear while new ones form, the canyon’s shape and features change, and even the travertine dams come and go. In the case of Havasu Falls, prior to the flash flood event in 1997, the waterfall was once 120ft tall in a wider, singular column. The travertine dams were also said to be much larger and almost acted like spas for visitors wishing to cool off and take a dip here. However, since that flood event, nearly a quarter of its height was knocked out from the force of the flash flood. 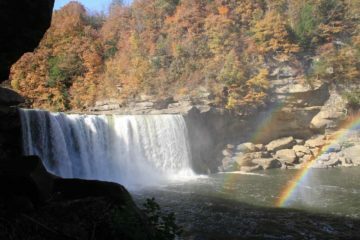 In the process, the singular plunge became the dual plumes you see in the photographs we’ve taken and shown on this page. 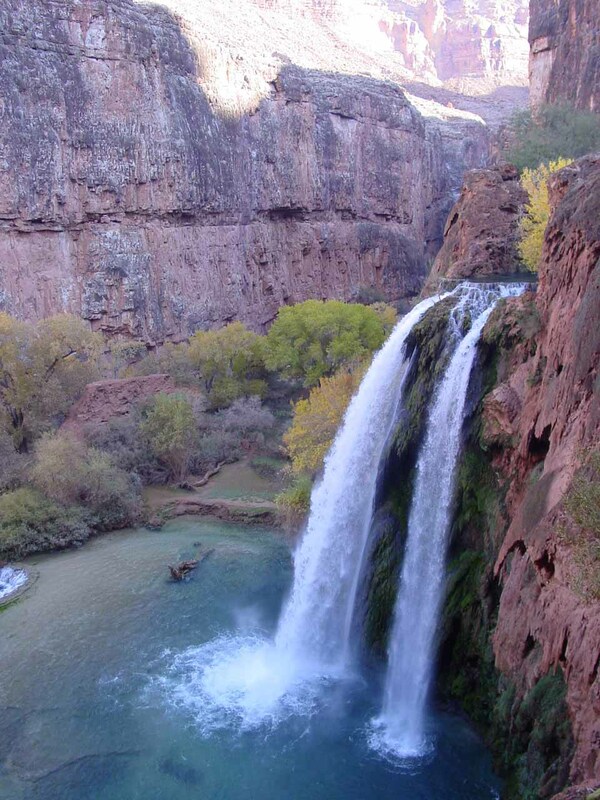 This flood event also destroyed Supai Falls. 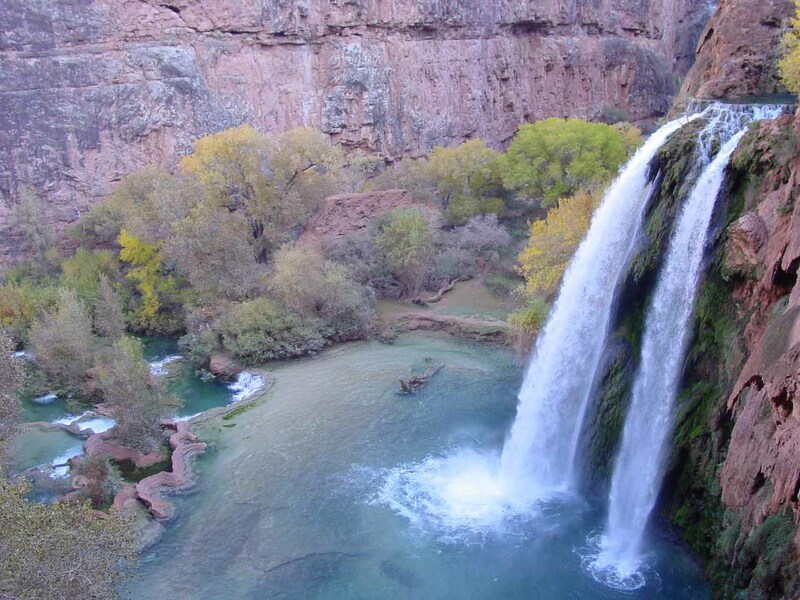 More recently, the flash flood event of 2008 caused a change in the creek’s course resulting in the loss Navajo Falls while creating two new waterfalls. 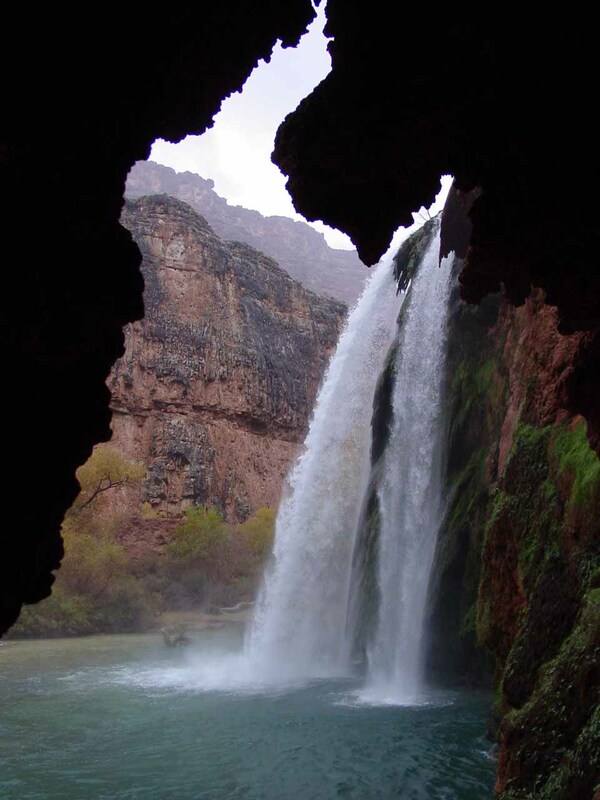 In addition, the plunge pools beneath Havasu Falls is said to have gotten smaller from siltation. Even the width of one of its dual plumes appeared to have gotten narrower (eventually disappearing altogether). 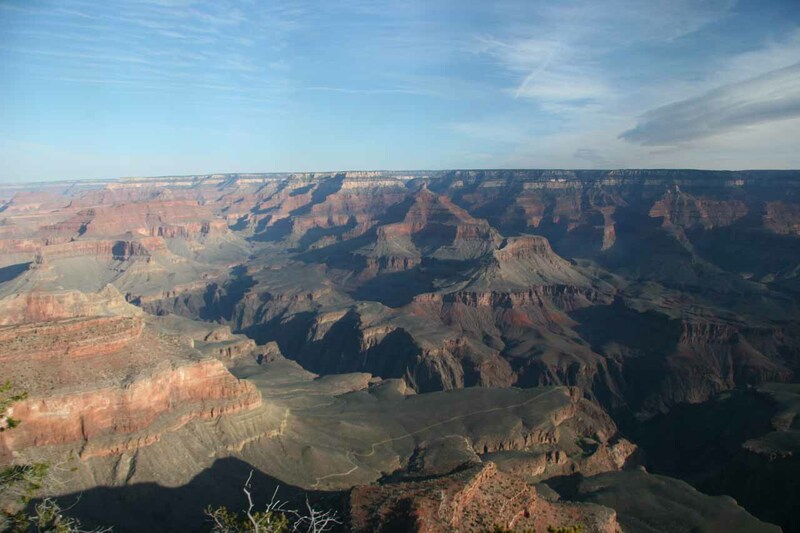 Julie and I have been yearning to return here to see these dramatic changes ourselves. In order to get to this waterfall, we first had to pre-book our place to stay. We had a choice of camping or staying in a lodge. Given the limited spaces, we had to book several weeks in advance to ensure we’d be enabled to do this trip. Such an excursion would be too ambitious to tackle in a single day, and even two days would be pushing it. One thing we did know pretty early on in our trip planning was that the Havasupai tribe would turn back anyone trying to wing it and come here without reservations. These days, in order to reserve a place to stay (whether by camping or lodging), you have to visit the Havasupai Tribe website. Back when we did it, we made phone reservations. We’d eventually pick the Havasupai Lodge, which was the lone accommodation in the remote village of Supai. The village itself was at least 8 miles from the nearest road. 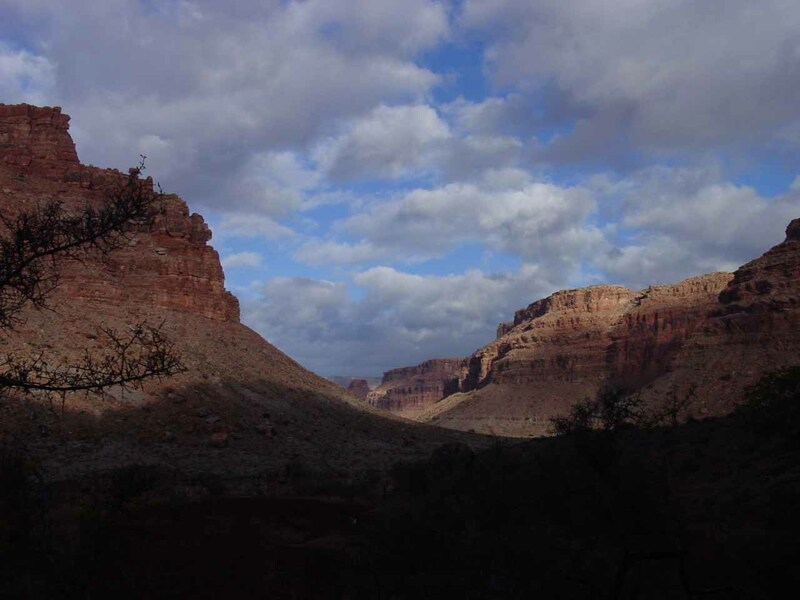 That distance, by the way, required us to hike from a remote car park known as the Hualapai Hilltop (see directions below) to the village of Supai. 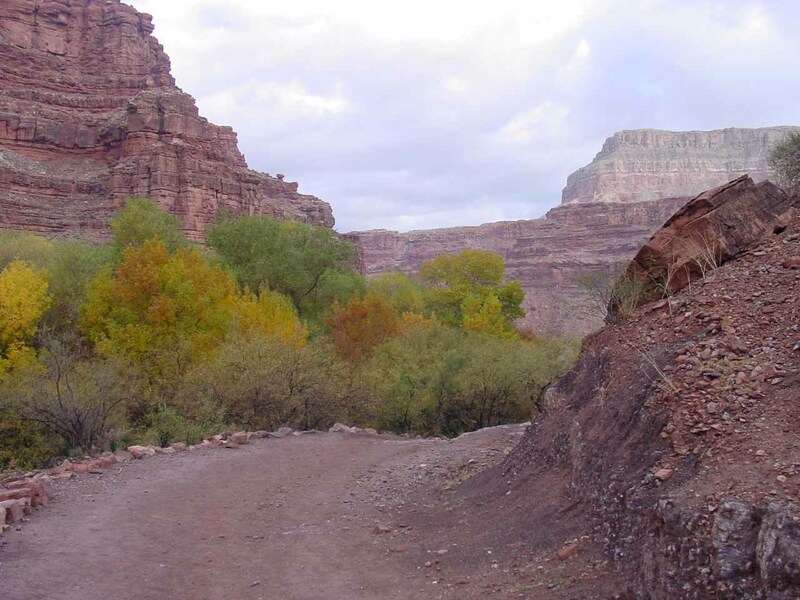 In the eight miles it took to reach Supai Village by foot, we lost about 2000ft of elevation. 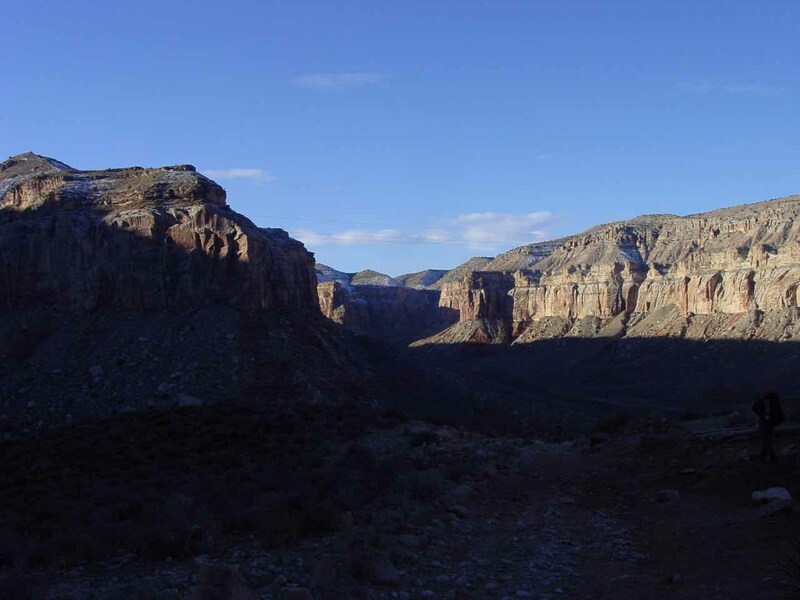 We lost the first 1000ft in just the first mile or so as we were descending from the Hualapai Hilltop into canyon below. That elevation drop would be the last killer stretch of trail on the way hike back out. After the initial steep descent, we then had to hike the next 5 miles or so along the sandy Hualapai Canyon Wash. It was during this stretch that we were interrupted frequently by caravans of pack and riding horses and mule trains. The protocol was to get out of their way when we heard them approaching so the caravans could pass without incident (i.e. we wouldn’t be spooking the horses and mules). 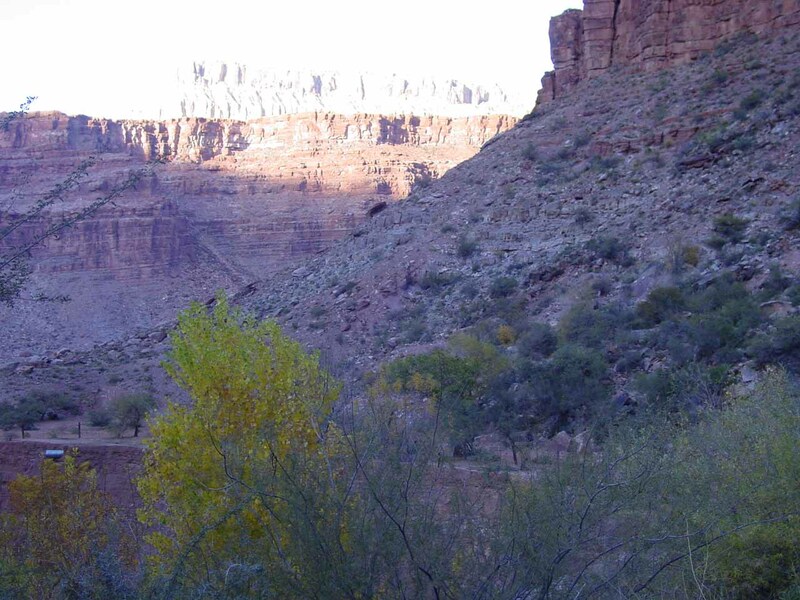 These caravans often hauled locals, supplies, and paying tourists since the Supai Village didn’t have a road going to it. 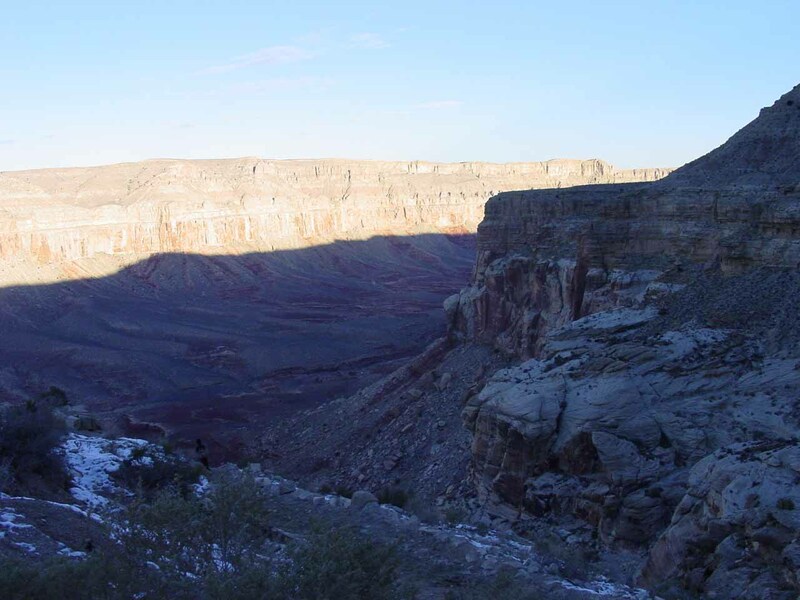 Anyways, as we got deeper into the wash, the canyon narrowed to the point that we started to see patterns in the canyon walls that exhibited evidence of flash floods. 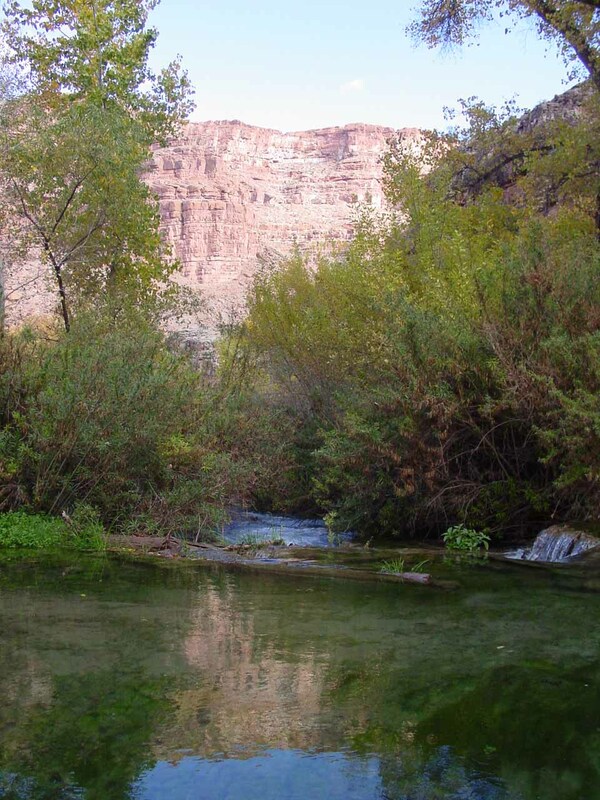 Eventually, Hualapai Canyon joined with Havasu Canyon as the gushing Havasu Creek started to parallel the trail we were on. 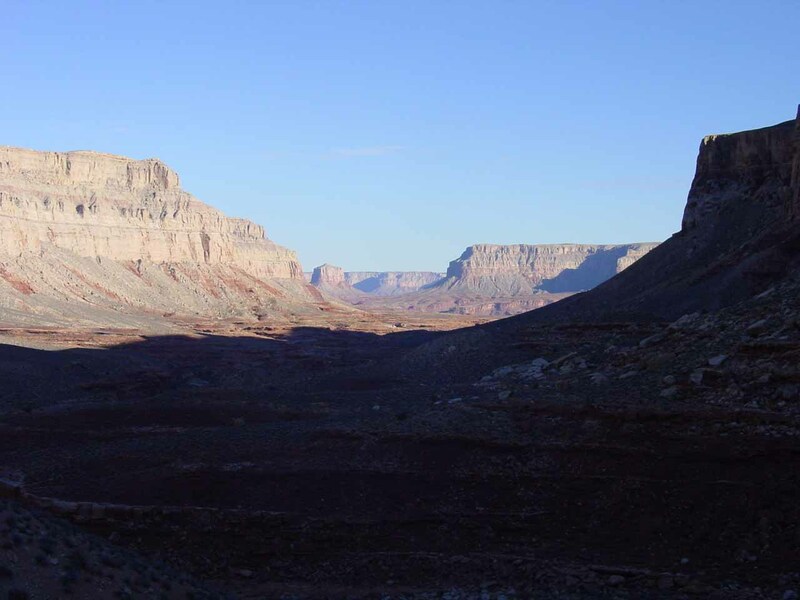 Not much further from this confluence, we’d eventually make it to the remote Supai Village where we were greeted by some balanced rocks or natural pillars perched atop a neighboring cliff called the Wigleevas. 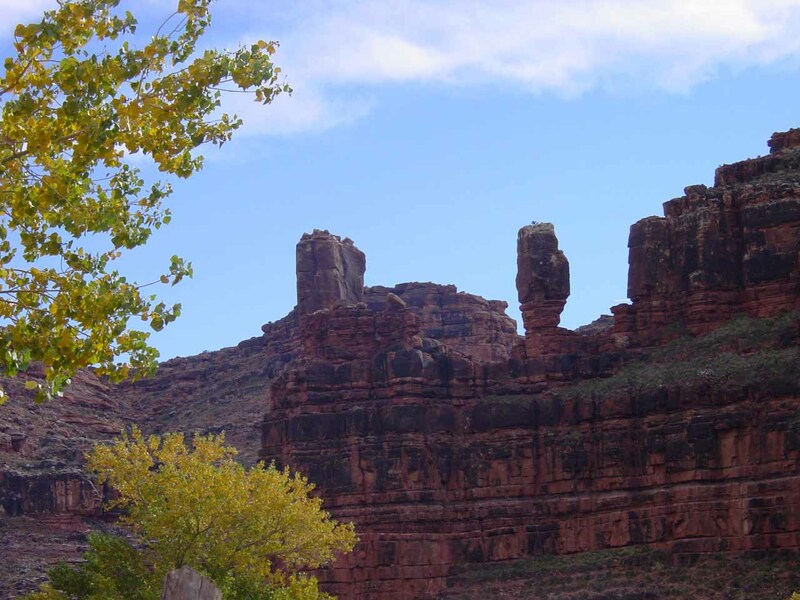 I had read that the Havasupai People believed these rocks were guardians watching over the village. In addition to the lodge, the Supai village also had a small convenience store, a cafe (selling delicious Navajo Fry Bread), and a register station for those who had booked campsites in advance as opposed to the lodging accommodation. 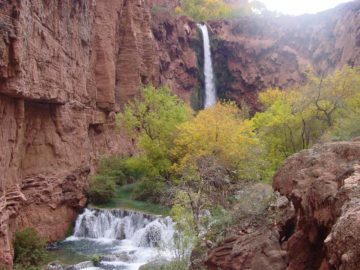 Continuing on the main trail beyond the village, we had to hike for the next two miles before eventually reaching the gorgeous Havasu Falls. The trail pretty much followed Havasu Creek the entire way. 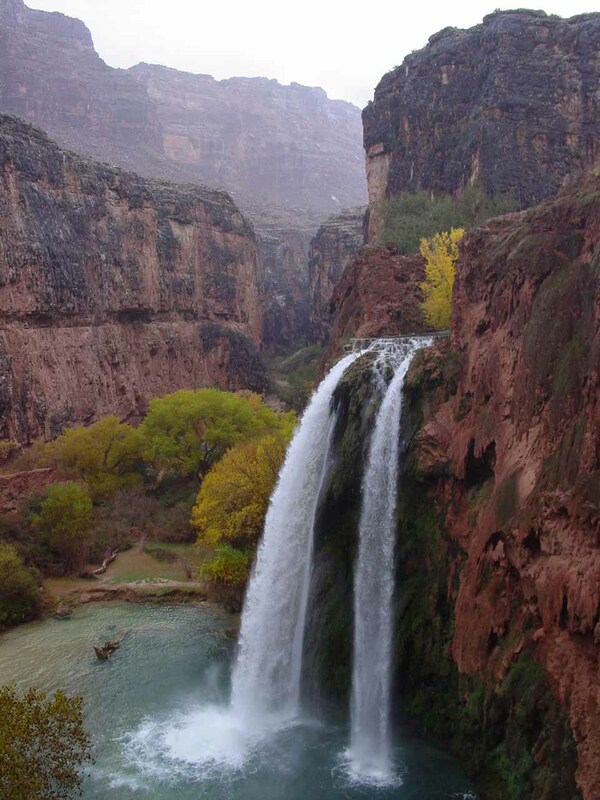 Along the way, we encountered Navajo Falls. 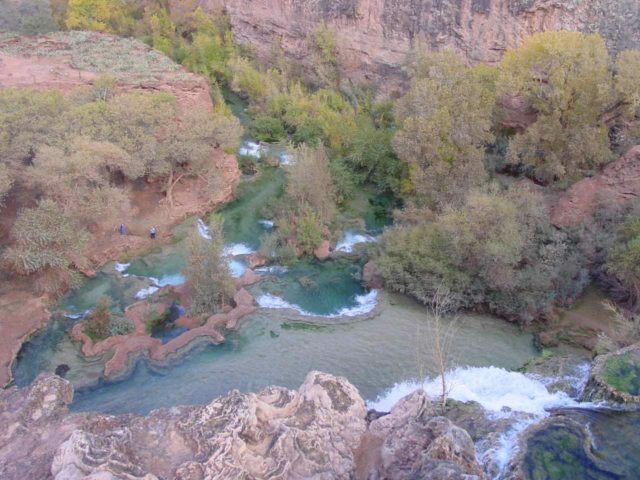 Once at the Havasu Falls, the trail descended alongside a cliff overlooking the plunge pool and waterfall providing a variety of angles to check out the scene. I recalled there was one informal trail that led right to the brink of Havasu Falls, but we definitely had to be careful as the cliffs were exposed to drop offs. Also, the stability of the cliff edges was such that they could go at any minute (in other words, don’t get too close to the edge!). At the bottom of this descent, we then took a short path leading to the edge of one of the large plunge pools beneath the falls. That was when we could check out the travertine dam formations while also getting even more post card views of Havasu Falls juxtaposed against red rocks with blue green waters beneath. A short distance beyond the plunge pool area was where we found the campsite area as it was situated along Havasu Creek as well as adjacent to the main trail itself. 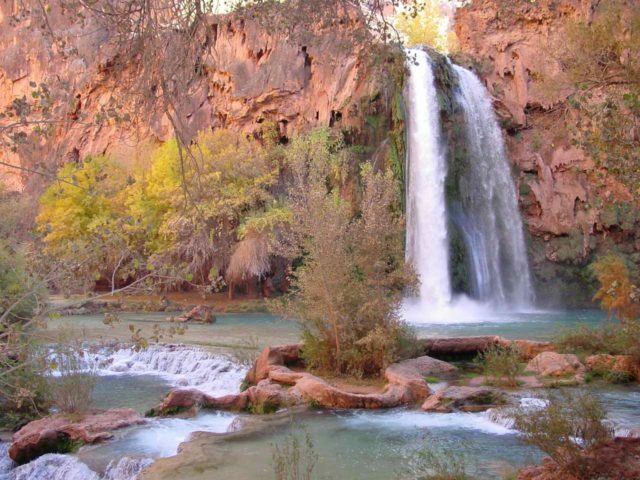 For just Havasu Falls, this would be the turnaround point. However, most people who do this excursion would camp here and use it as a base to explore the rest of the waterfalls in the area. The campsites themselves seemed like primitive sites. 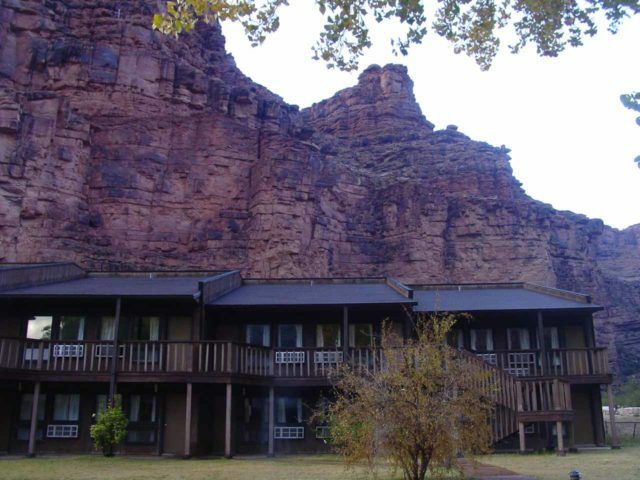 However, they were ideally situated enabling you to relax to the sounds of the creek and the falls after a long day of hiking and carrying packs. Finally, if you did fancy what the minimum physical exertion would be required to reach just Havasu Falls, it’s said that the one-way hiking distance from the Hualapai Hilltop to Havasu Falls was 10 miles (8 miles to Supai Village and 2 miles to reach this waterfall). Combined with the roughly 2000ft elevation loss, the round trip distance would be a whopping 20 miles return and a regain of that lost 2000ft on the way back. That’s why I’d say masochists would even think about doing this waterfall as a day trip, especially given all the driving required to even get to the trailhead. 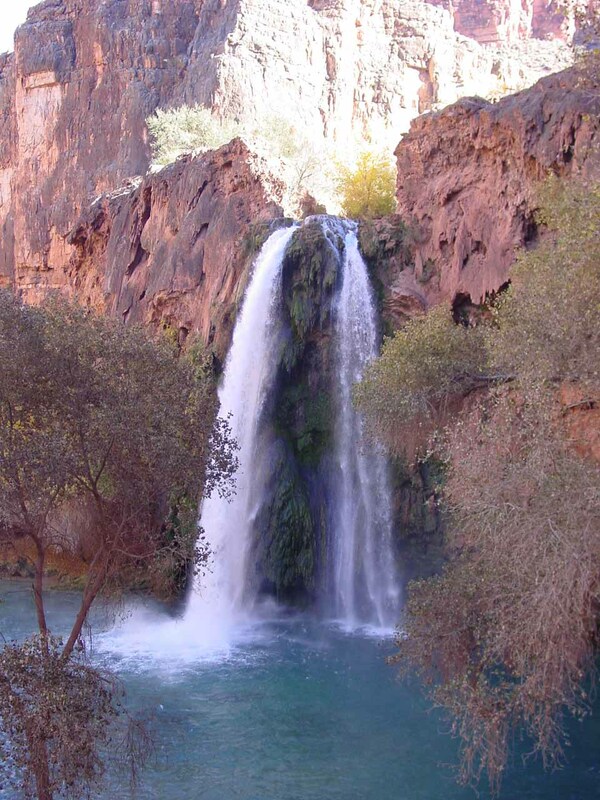 Havasu Falls and Havasu Canyon are administered by the Havasupai Tribe in the Havasupai Reservation. 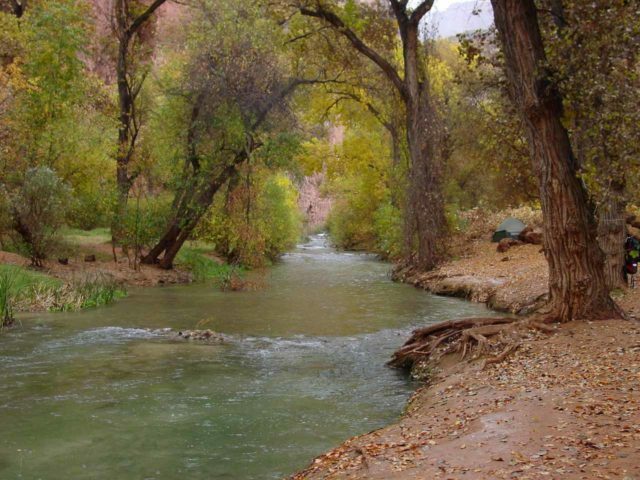 For information or inquiries about this reservation as well as current conditions, visit the official Havasupai Tribe website. The way we did it, we drove east on the I-40 heading towards the town of Kingman. Just east of Kingman, there was an exit to get onto the historic Route 66. 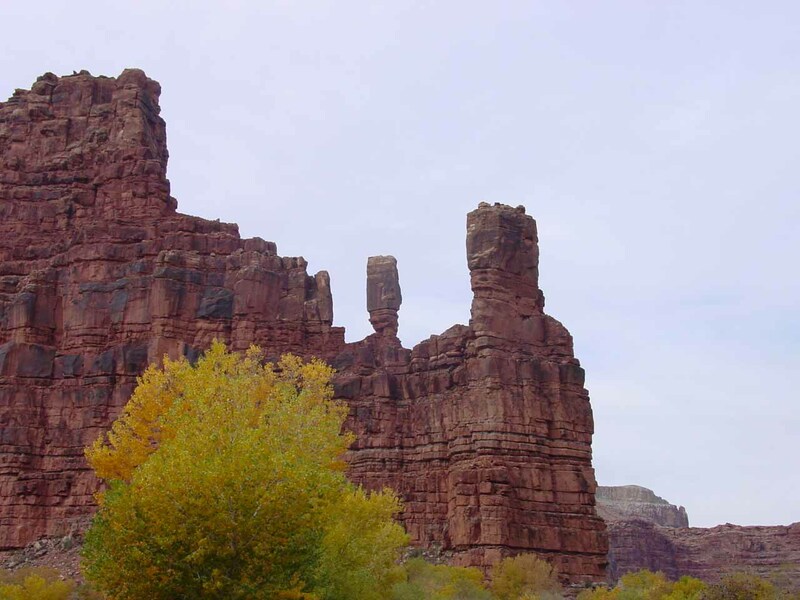 We followed Route 66 for around 50 miles to the Hualapai Tribe town of Peach Springs. Peach Springs was our last chance for gas, but we did fill up at Kingman so we weren’t quite as concerned about our fuel situation. About 6 miles east of Peach Springs, we encountered an easy-to-miss (if you’re going too fast) turnoff onto Indian Road 18 on our left. We then took this road (paved all the way during our visit) for around 60 miles to the road’s end at the Hualapai Hilltop. Even though there were quite a lot of spaces for parking up here, parking would have been a little difficult to find had we come later in the day (we made it to this trailhead by 7am after getting a very early pre-dawn start from Laughlin). This car park was where we left our car and began our hike. Given the logistics of this trip, we pretty much had to have to treat this trip as a multi-day backpack. Even if you were physically fit and would be capable of pulling off this hike in a day, the amount of time spent driving to even get here would practically assure that some after-dark hiking or driving would be necessary if you were to attempt such a feat. 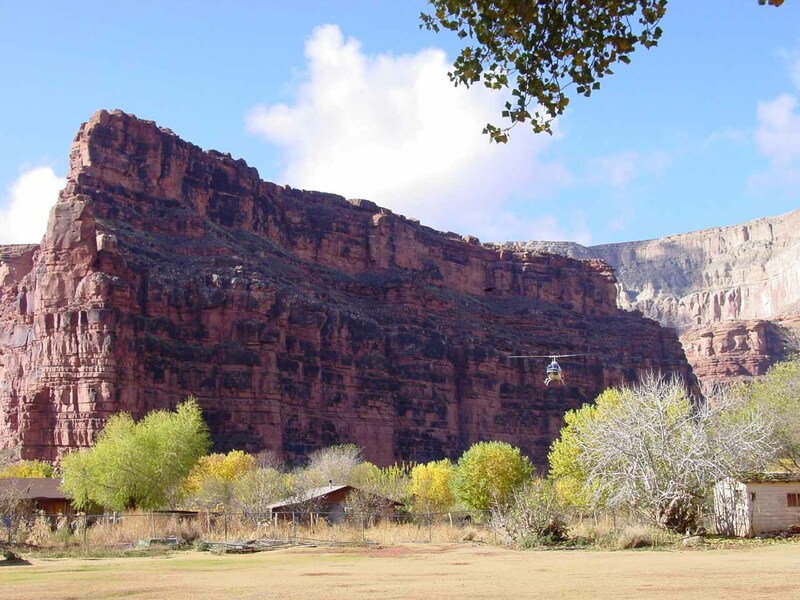 Finally, if you’re not up for the hike, it’s possible to book horseback rides between Supai Village and the Hualapai Hilltop as well as the quicker but more expensive eight-minute helicopter option.